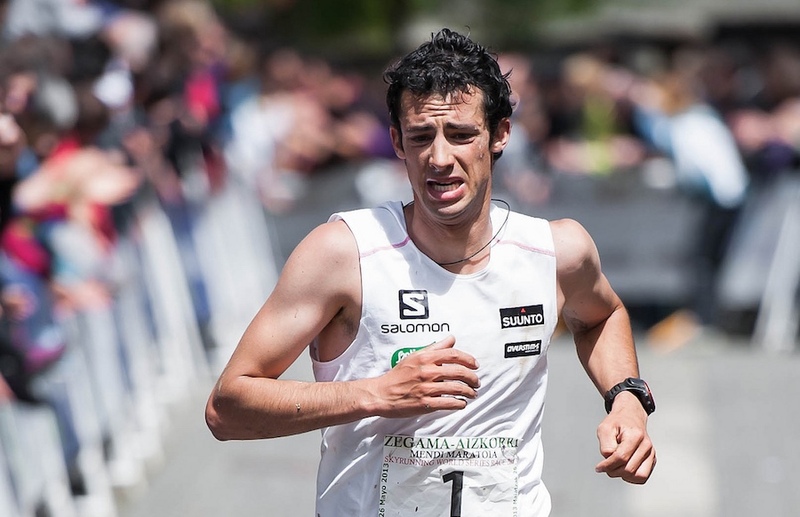 Innocents Day on 28th December is the Spanish version of April Fools, and one story that appeared involved famed Catalan mountain runner Kilian Jornet answering a challenge from Eluid Kipchoge to run the London Marathon in 2018. 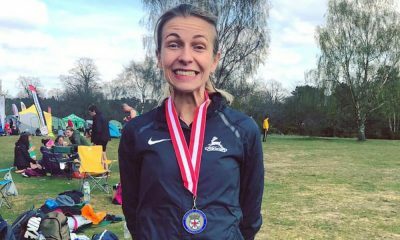 The 2:10 barrier would be the target and there were questions raised as to whether this was an achievable target for the world’s best mountain runner or just plain unrealistic. Now, Jornet’s complete dislike of all things tarmac aside and the fact you couldn’t see him doing a training run on the road, let alone a whole marathon, could 2:10 be achievable? Let’s play a little game and see if could hypothetically do it. 2:10 is a fantastic result in a marathon, but still well short of the Denis Kimetto’s best mark, Sondre Nordstad Moen’s European Record and even Julio Rey’s Spanish National Record of 2:06:52. What I mean is that 2:10 is a great time, but not so far out of the realms of possibility to dismiss it out of hand for a mountain runner. Now, what about the marathon running pedigree of mountain runners in general? Is there a precedent for coming out of the hills onto the roads and setting the world alight? 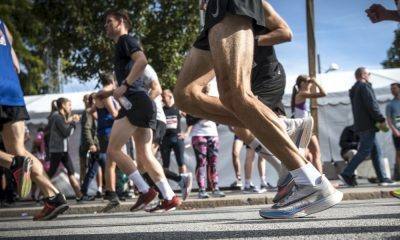 You don’t have to look far to see the marathon PBs of runners like Kenny Stuart (2:11:36) to see that Jornet would not be the first to descend from the slopes and run a great marathon – Salomon’s road shoes could probably use the publicity. 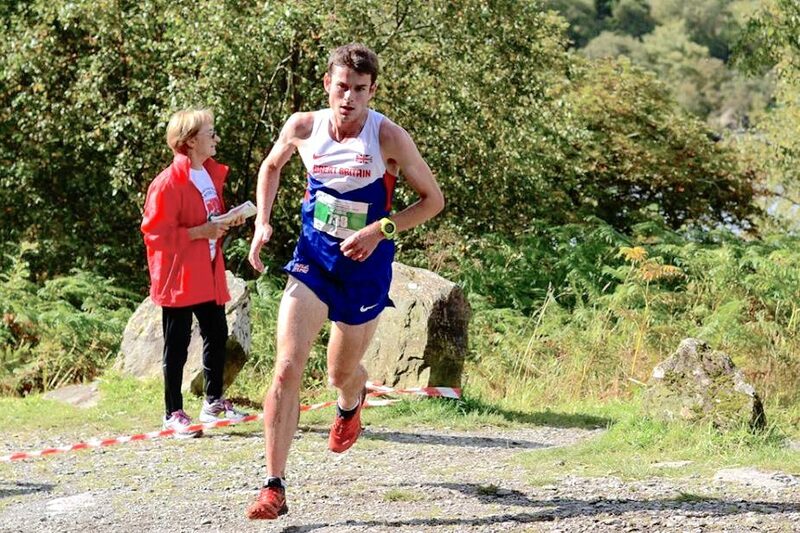 The British team for the 2017 World Championships was made up runners who have spent time on the mountains, with Josh Griffiths and Andrew Davies having represented their nation at Mountain Running Championships. Yet the runner who qualified, but didn’t make the start line in London, Robbie Simpson, is one of the best athletes to compare, given his past ability of pushing Jornet at races like Sierre Zinal in Switzerland. 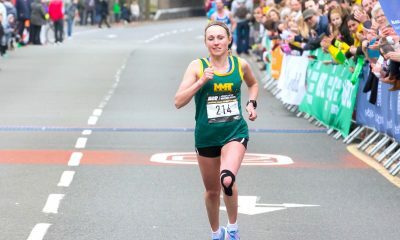 Simpson was able to post a fine 2:15:04 at the 2017 London Marathon, 12 months after his equally impressive marathon debut of 2:15:38, but was plagued by injuries between the London Marathon and the London World Championships that seemingly weren’t even affecting his phenomenal uphill mountain running. Could Jornet’s body also be affected by the road mileage required to go five minutes quicker than Simpson? What about the marathon pedigree of other competitors? Some would say that Jornet is dominant over the mountains because the level isn’t as high as road running, there’s isn’t a huge east African contingent in mountain racing but there are some. Eritrean Petru Mamu, a disgraced World Mountain Running Champ who was caught for doping violations in 2017, is one athlete that has beaten Jornet in recent years – he has run 2:15:16 for the marathon, but still 12 seconds slower than Scottish runner Simpson. Some athletes come into mountain running after successful road and track careers, such as one of the greatest of all time Jono Wyatt, now a Head at WMRA. Wyatt represented New Zealand at 5,000m (13:46) & 10,000m (28:08), half marathon (62:37) and ran a marathon PB of 2:13 in Hamburg in 2003, in the middle of his mountain running career and the same year he set the Sierre Zinal record that Jornet has not beaten. So if we say the Catalan runner is the better descender of the two then you have a possible upper limit for the uphill and flat speed of Jornet with Wyatt’s times. 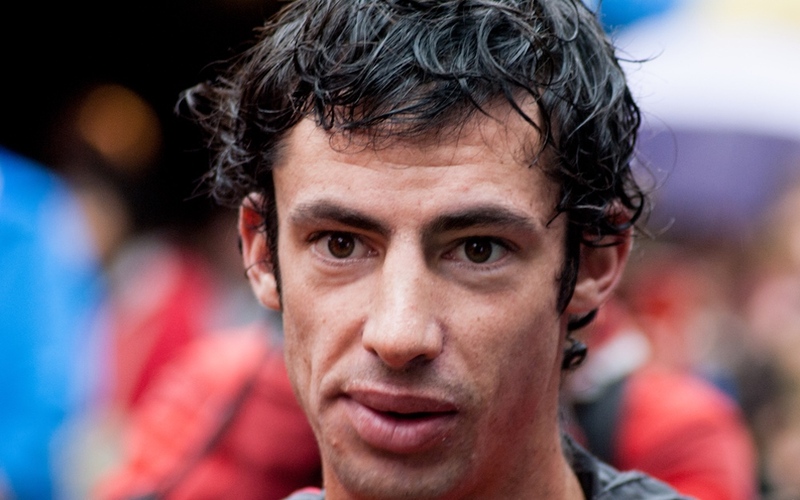 Even with a focus on the flat, you cannot see Jornet going beyond Wyatts times. Now you could also argue that Jornet is a tactical racer so goes for the win, rather than the record, in races like Sierre Zinal, but we do know the likes of Robbie Simpson pushed him hard for the win this year and in the past. Max King, third place in 2017, has a marathon PB of 2:14:36, quicker than Simpson’s in second, so we know it’s not all about the marathon PB in the mountains. The longer and more technical the race, the less we can correlate the performance with a marathon time, for example the heavily billed race between Jornet, Francois d’Haene and Jim Walmsley, who has a 29:08 10km PB and 2:14:05 Marathon PR, at the Ultra Tour de Mont Blanc (UTMB) was not won by pure physical parameters, with descending ability, pacing, eating, drinking and just plain ability to suffer coming into play. D’Haene, a French Winemaker, has run 2:34:42 at the Marathon Internationnal du Beaujolais, which is on trail and a little hilly. It’s not 2:10 though. Least we forget the physiological nature of the man we’re discussing. VO2 Max testing back in 2012 gave a score usually reserved for cross country skiers. 89.5, ml.kg.min-1. 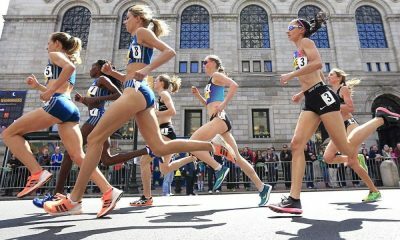 is nearly as high as any testing seen and a lot higher than plenty sub 2:10 marathoners, but we know that VO2 Max isn’t the only factor in road running, with running economy on the flat, not up and down mountains, a key element too. Probably the athlete with the biggest similarity to Jornet in terms of performances and range of distances is American Matt Carpenter, who had a VO2 Max recorded at 90.2, set records at short and ultra distance mountain races and had a marathon PB of 2:19. Carpenter was a little lighter than Jornet when racing, (55/56kg compared to 59/59kg) so you might expect Jornet to be a little faster on that flat for equivalent uphill performances. So the final estimate, could Jornet break the 2:10 barrier if he were to line up at the London Marathon? Just how much road training could his body take in the build-up and could it be found. Living in Norway during the winter months doesn’t make a flat and fast long run easily accessible and the ever more enjoyable mountains are right on your doorstep. Maybe Berlin would be a better choice later in the year? Doubting the man who has set ridiculous speed records up and down the Matterhorn and Mont Blanc is not a wise thing and you get the impression that if he put his mind to it, great things could be achieved in any sporting sphere, but could he put his heart into it? The hypothetical nature of this discussion will most likely always remain as such, for this is a true mountain man we are talking about. For what it’s worth if you’d have said 2:14 was the target, there’s a possibility, but 2:10 might be a road too far. I’ll take a gamble on 2:13:23, although that’ll likely never get proved or disproved, so it’s just for fun anyway. I wonder what the man himself thinks he could run?